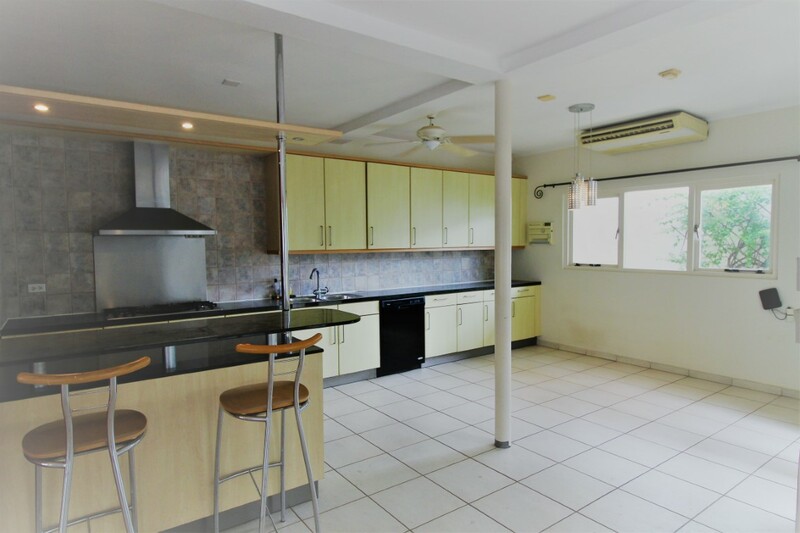 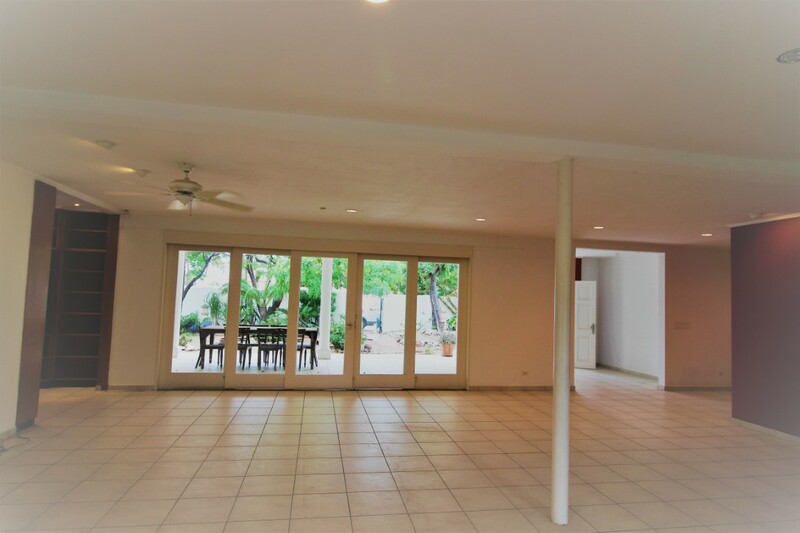 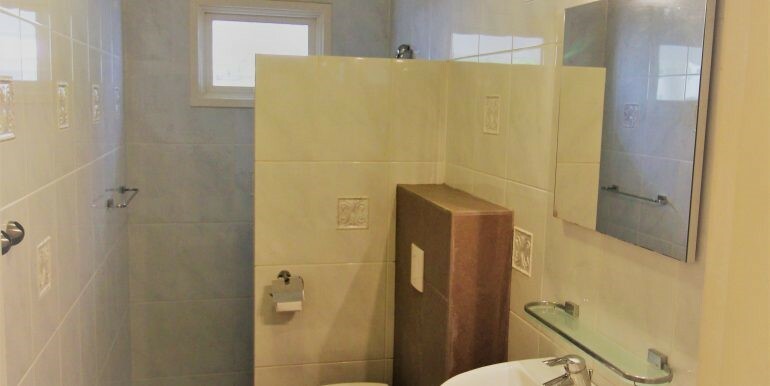 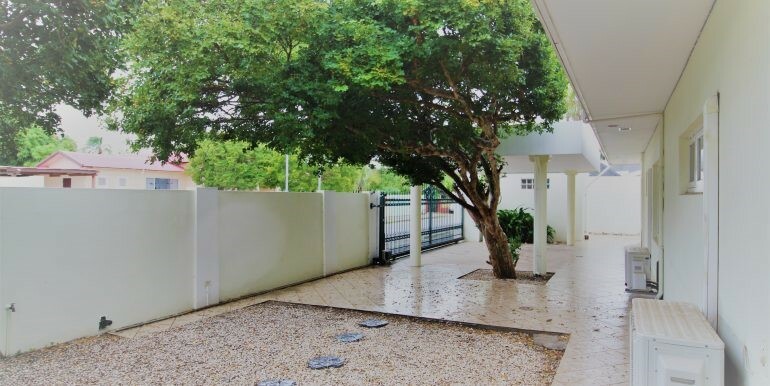 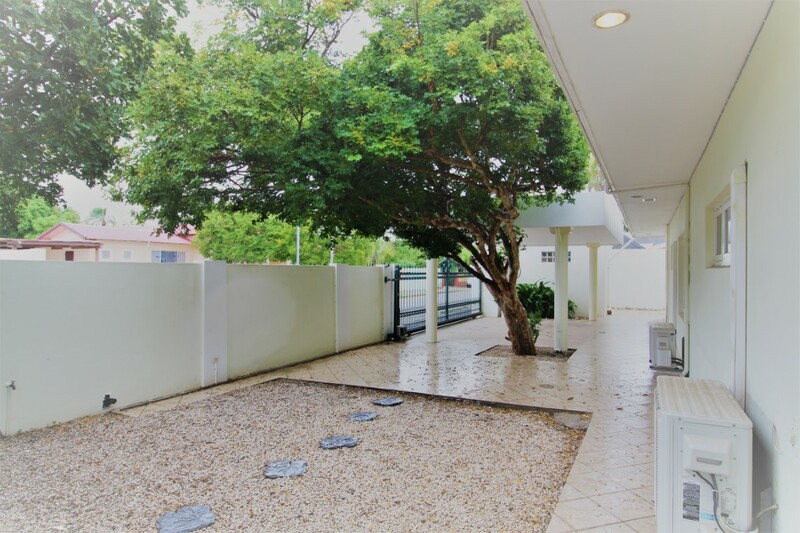 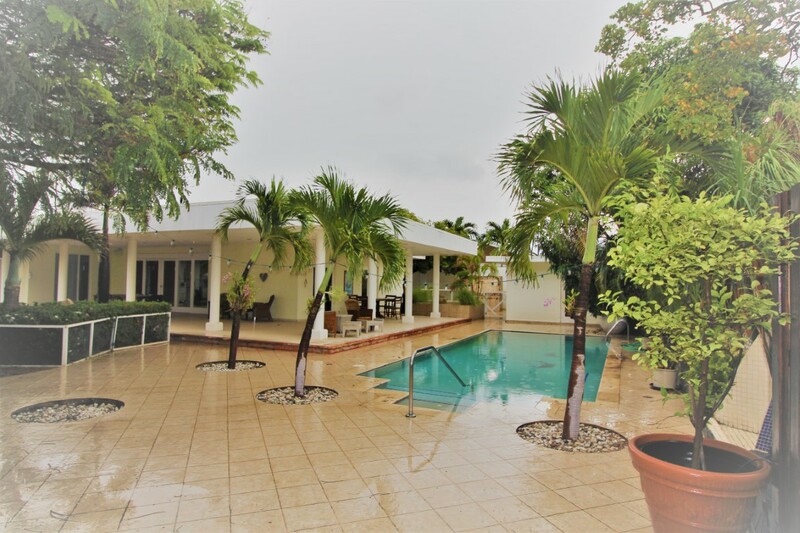 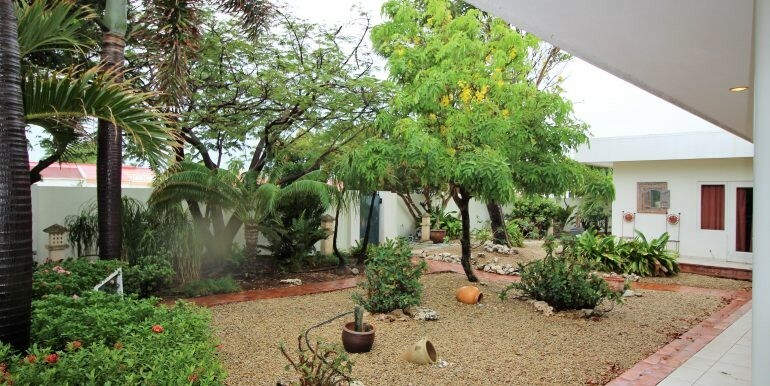 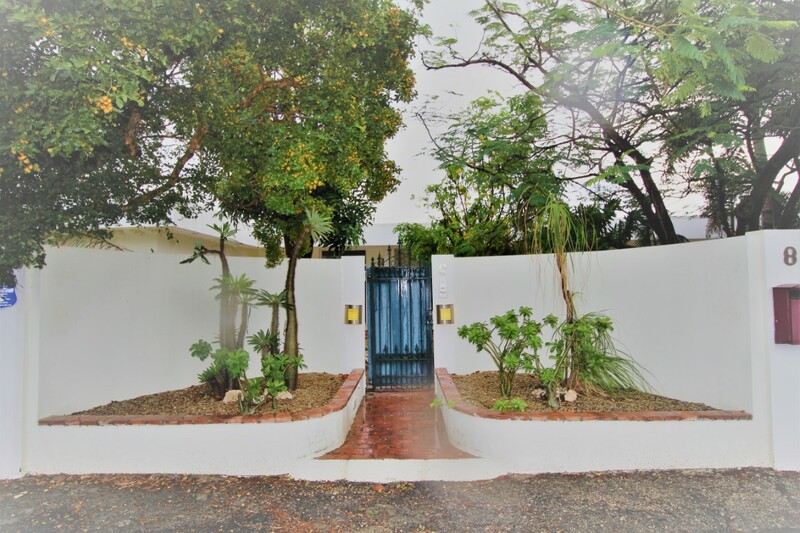 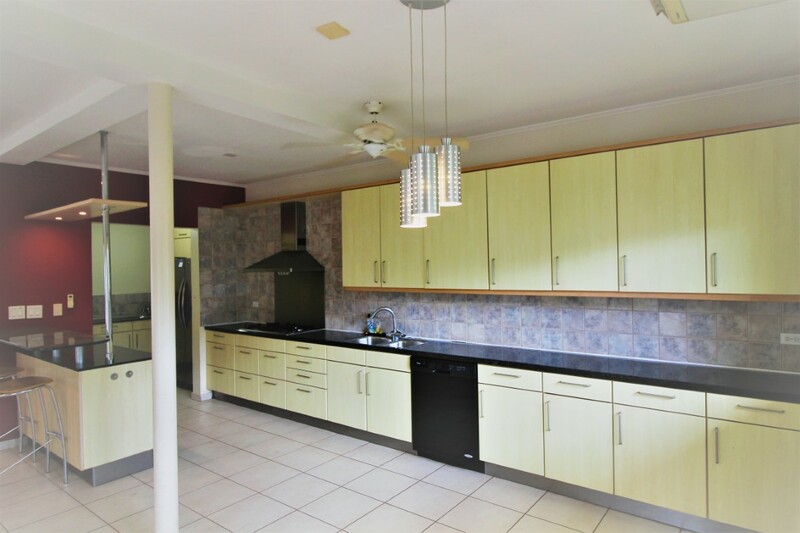 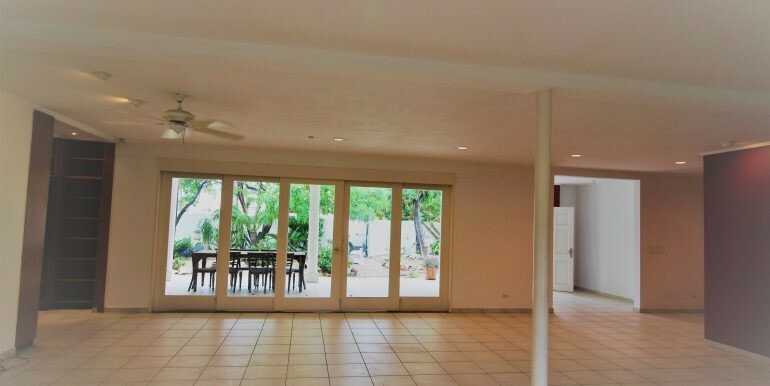 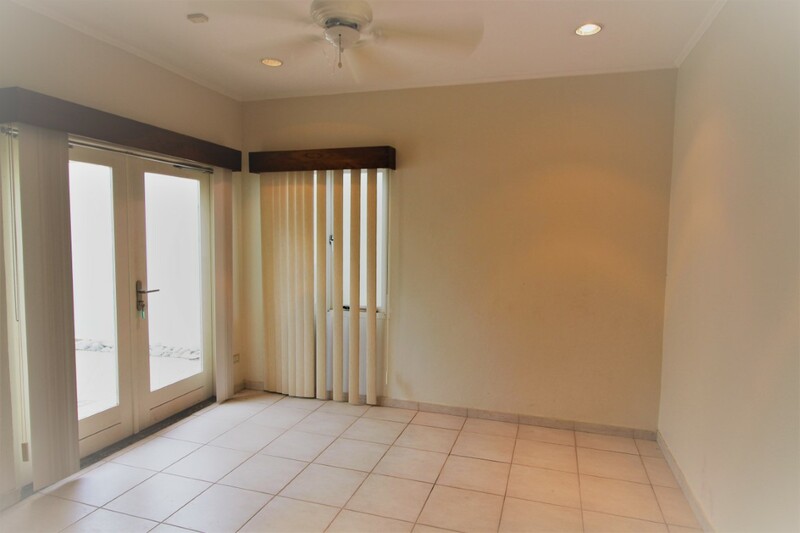 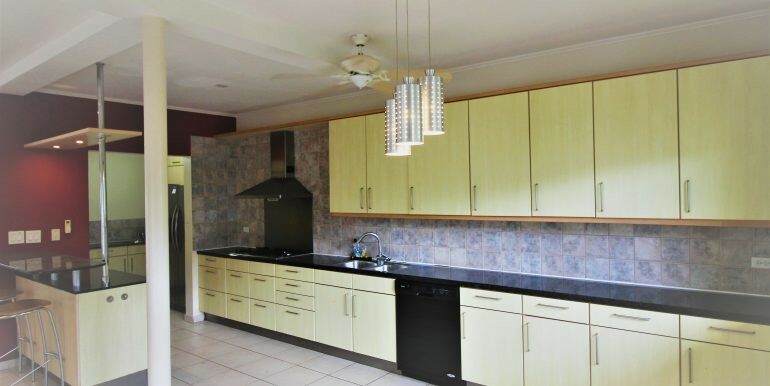 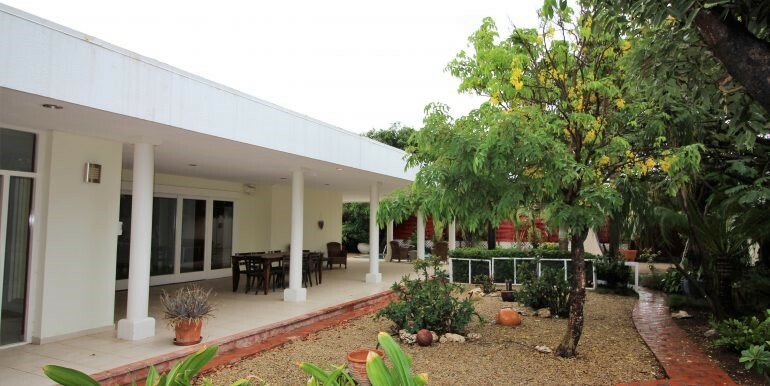 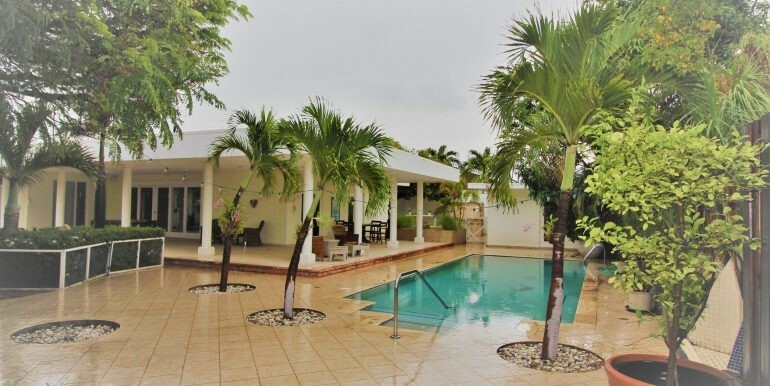 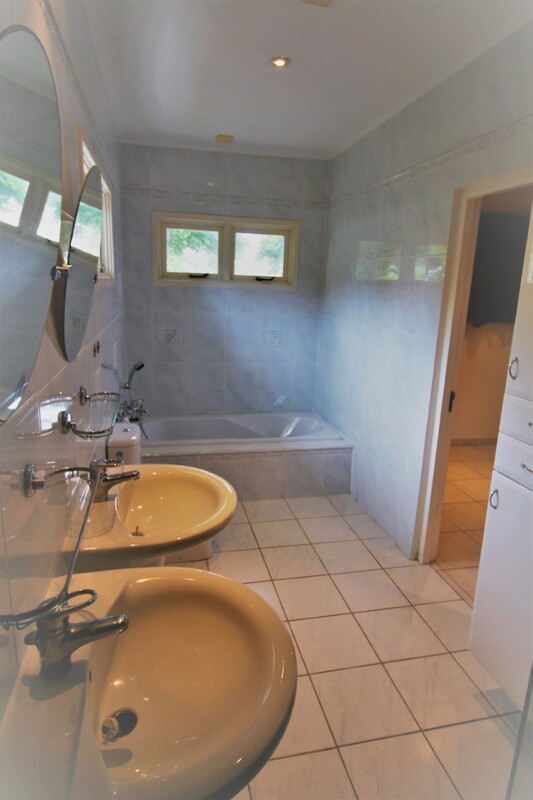 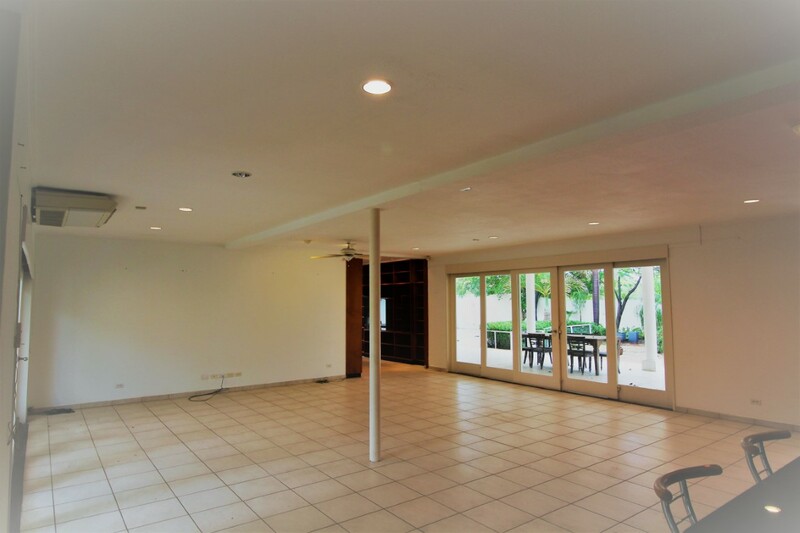 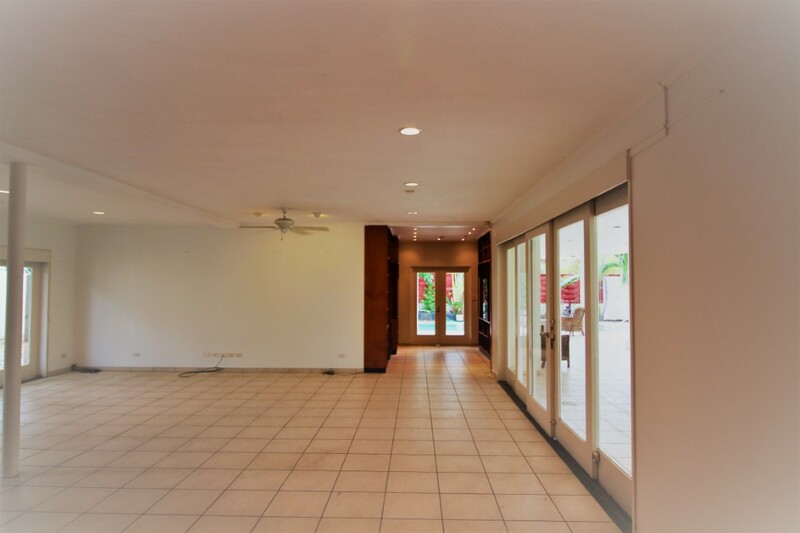 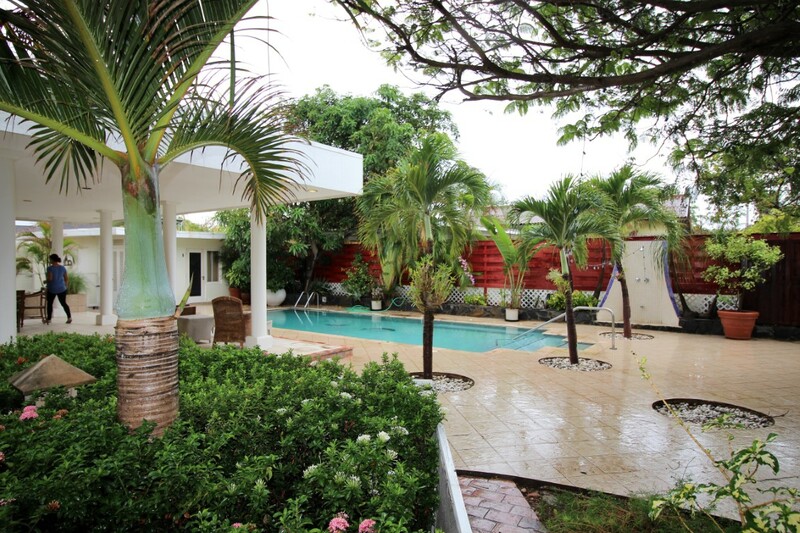 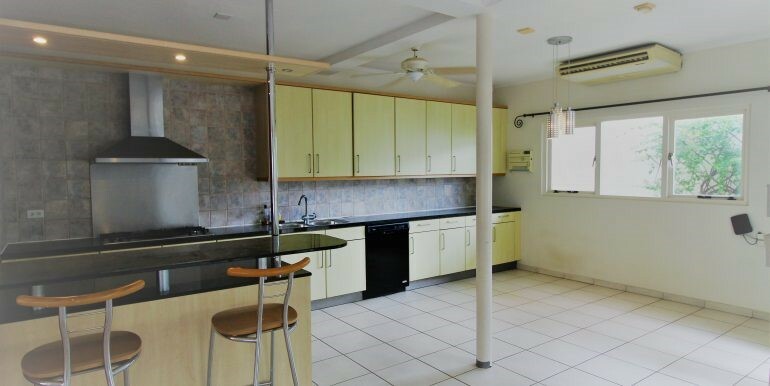 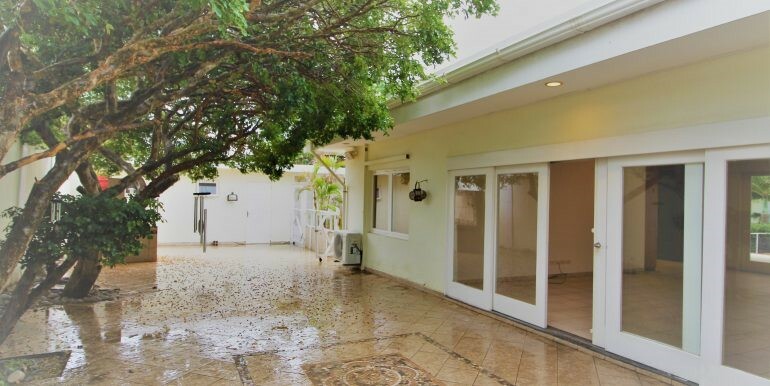 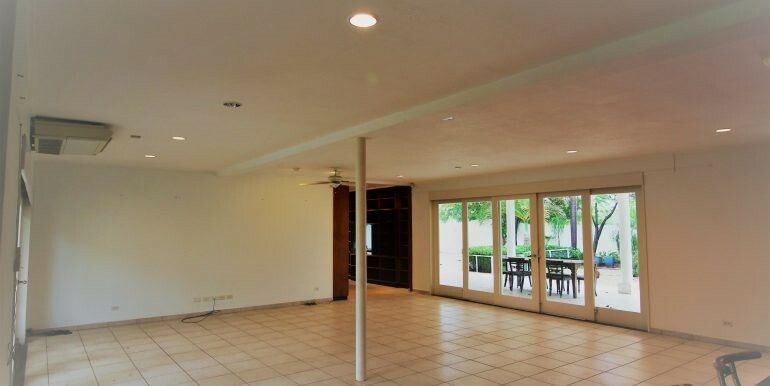 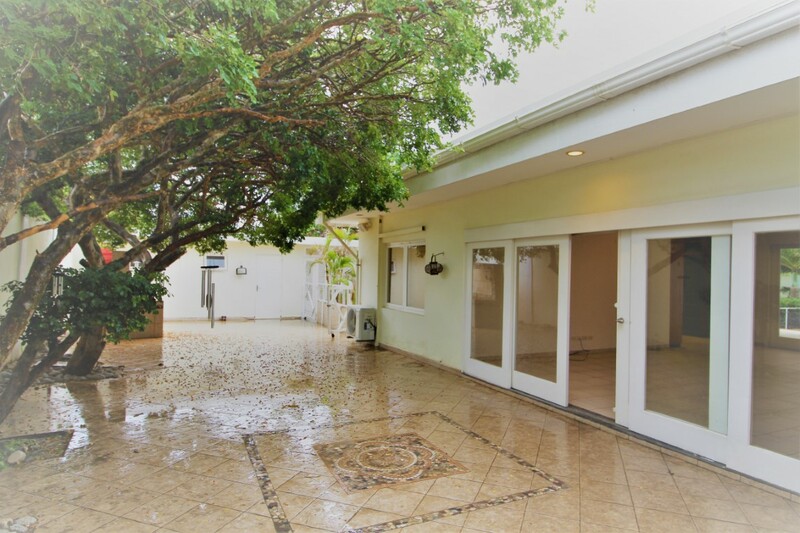 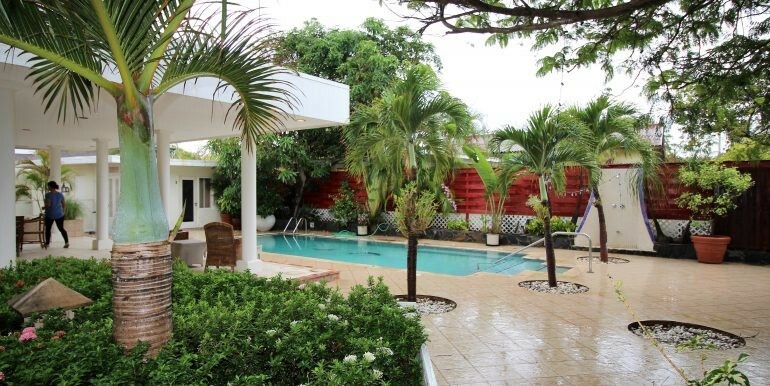 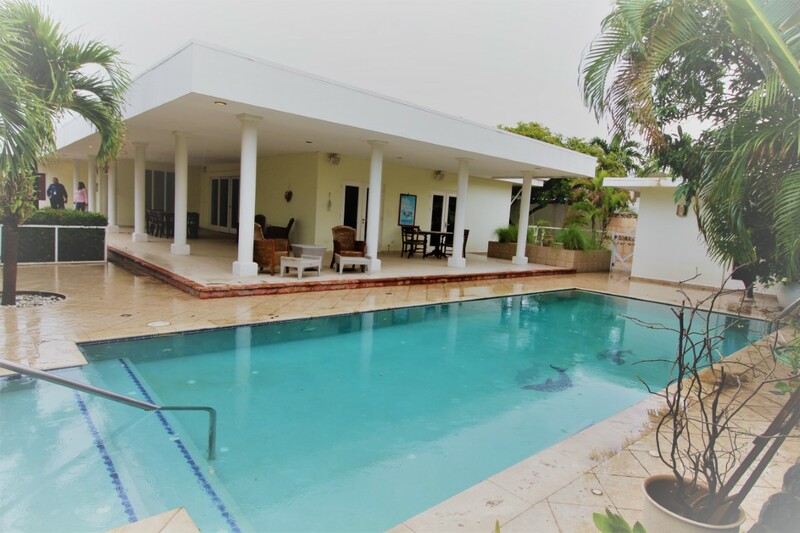 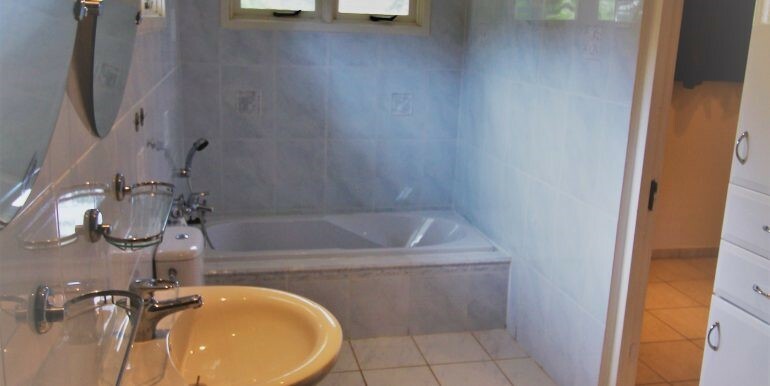 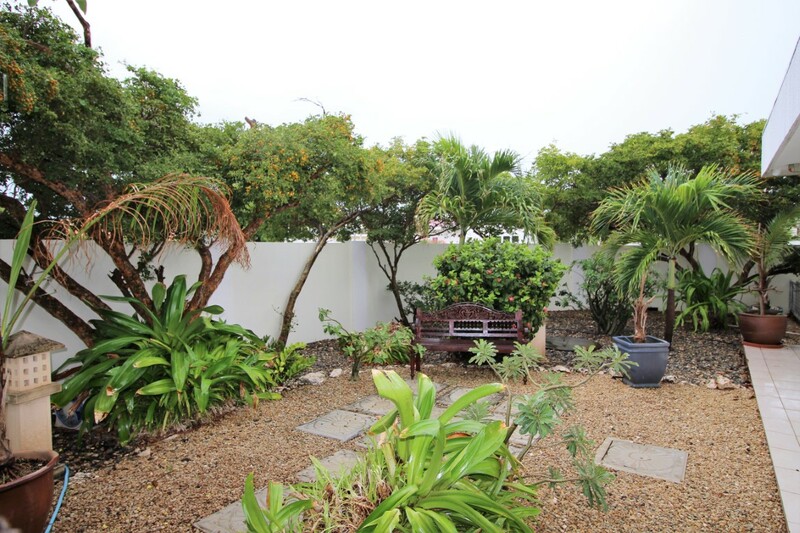 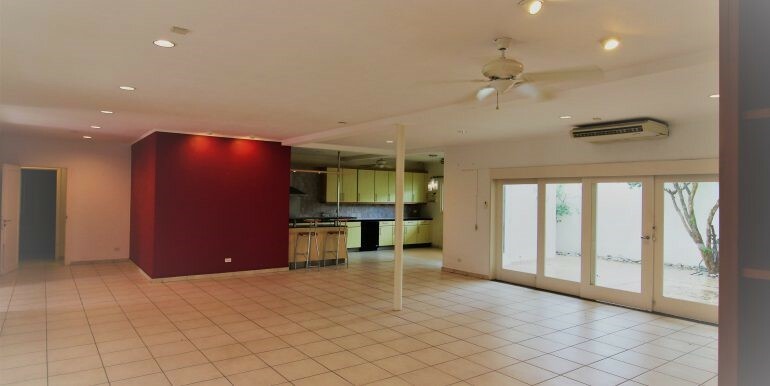 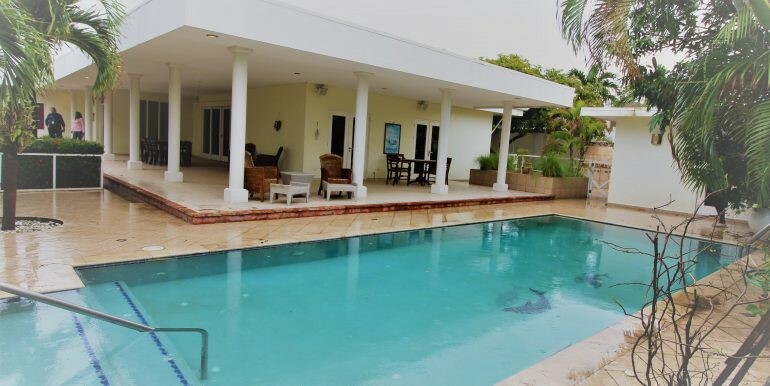 This beautiful city villa is located in Oranjestad in the quiet area of Mon Plaisir. 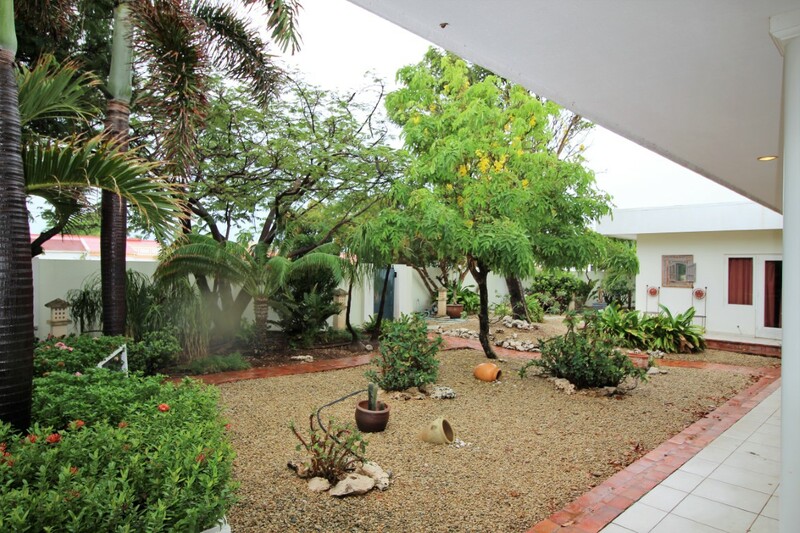 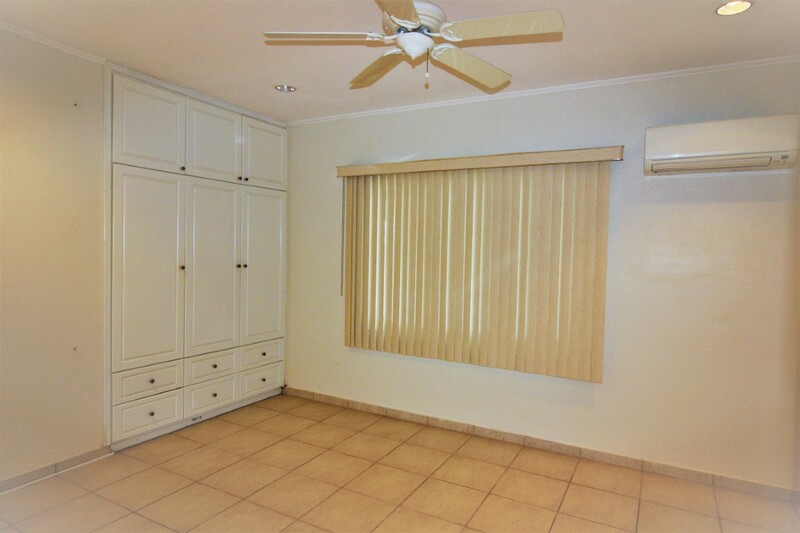 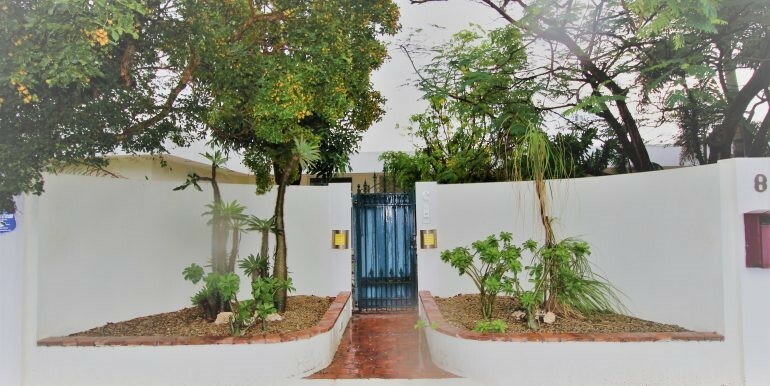 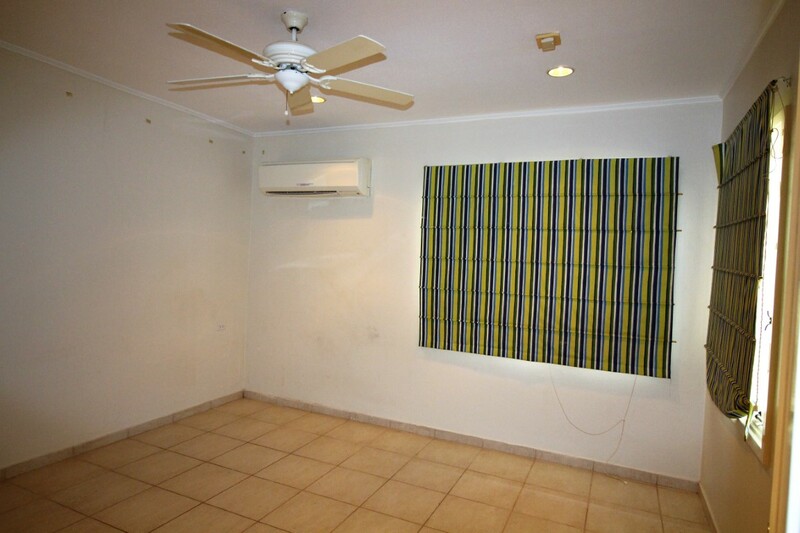 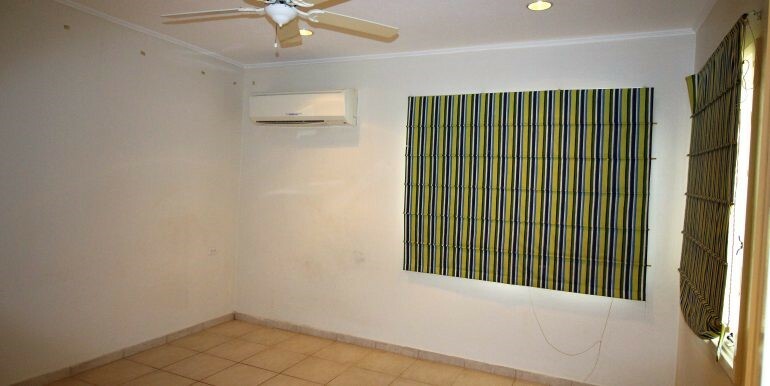 This location is close to government buildings and downtown offices and the International School of Aruba. 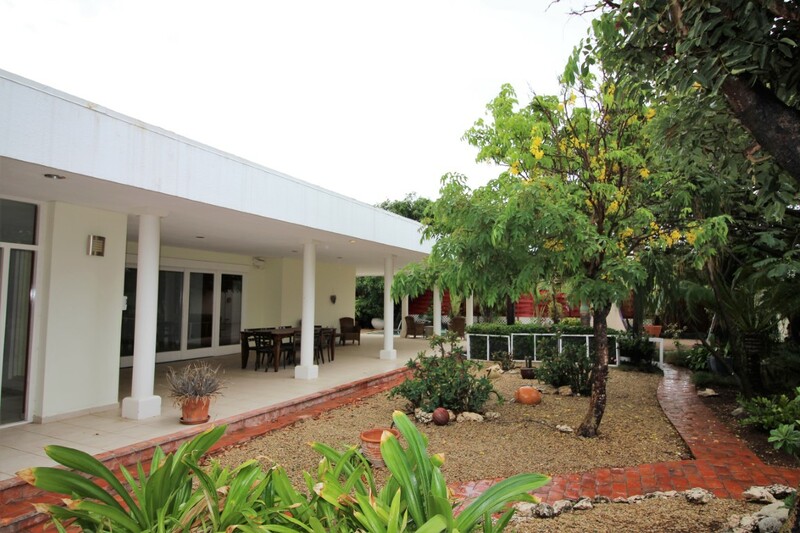 Oranjestad also offers a wide range of shops, restaurant and bars. 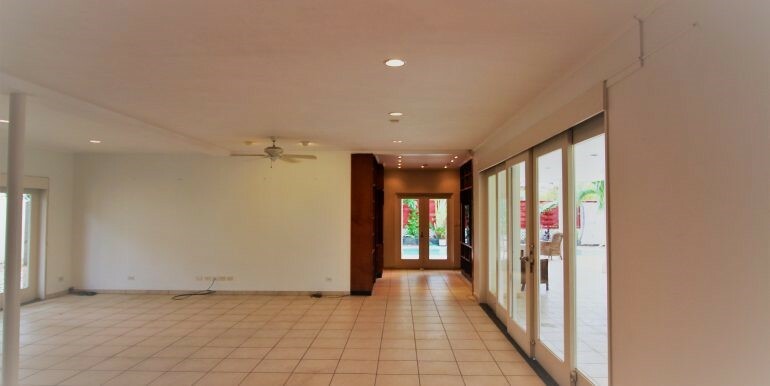 The home has 4 bedrooms and 2 bathrooms, an office, library and a large living room. 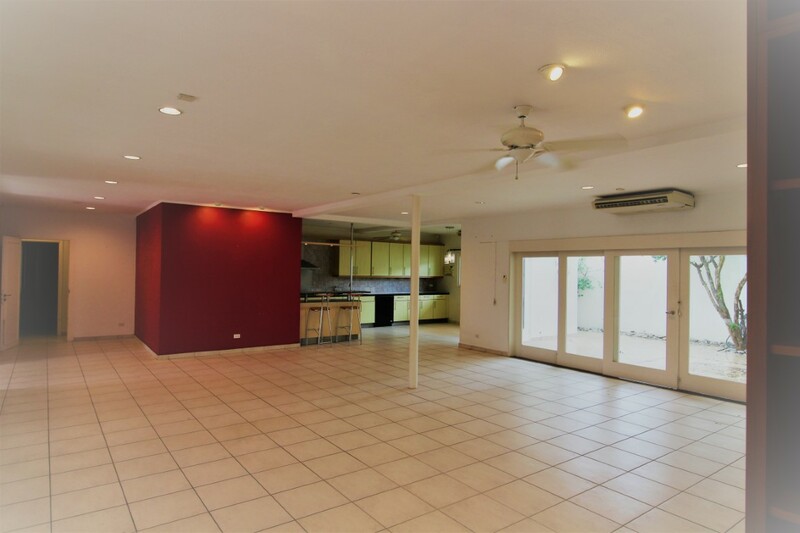 The living room connects to an open kitchen and dining area. 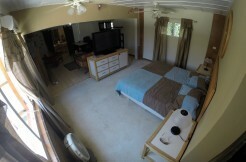 The apartment has 2 bedrooms, 1 bathroom. 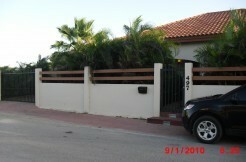 Outside you will find a large wrap around terrace of 100m2. 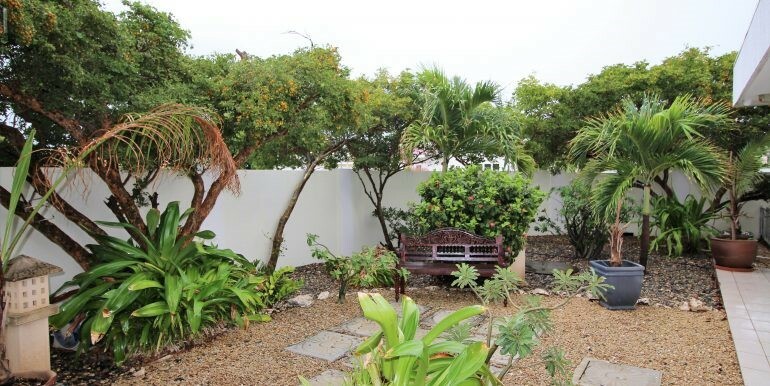 The garden is beautifully maintained and creates a private paradise around the house. 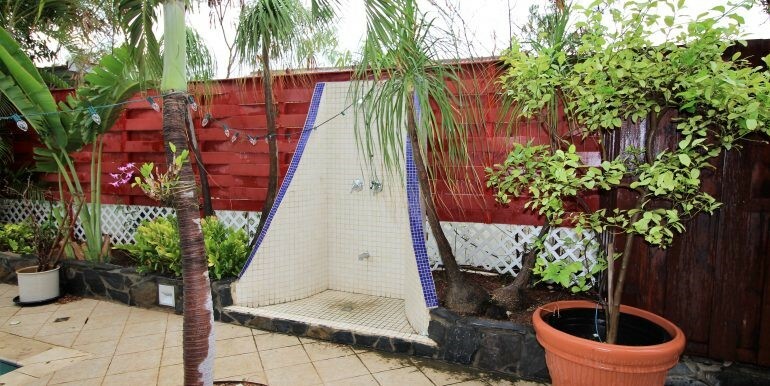 There is a pool with an outside shower. 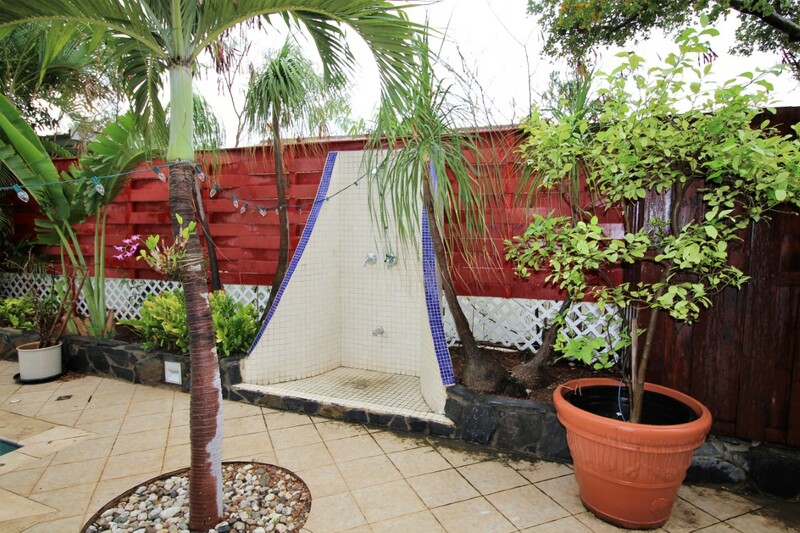 The garden and pool service is included in the rental price. 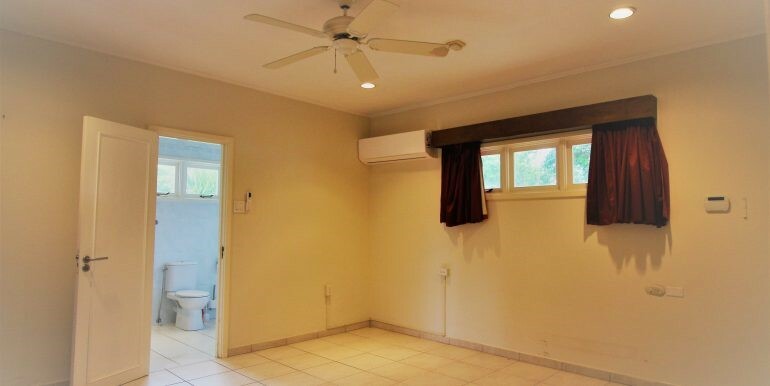 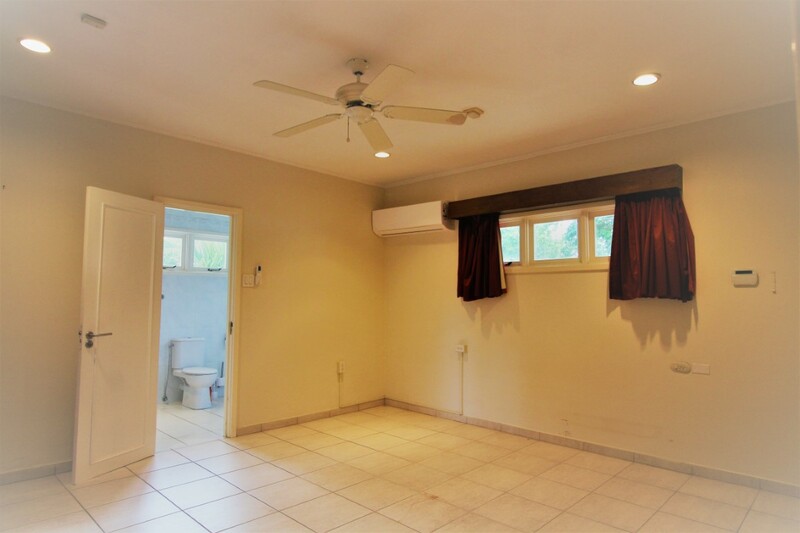 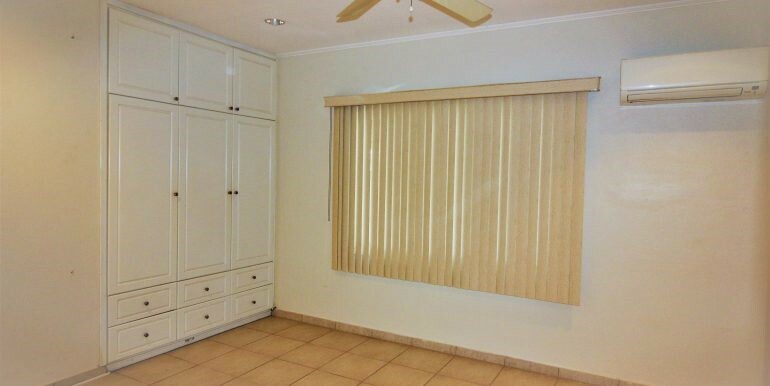 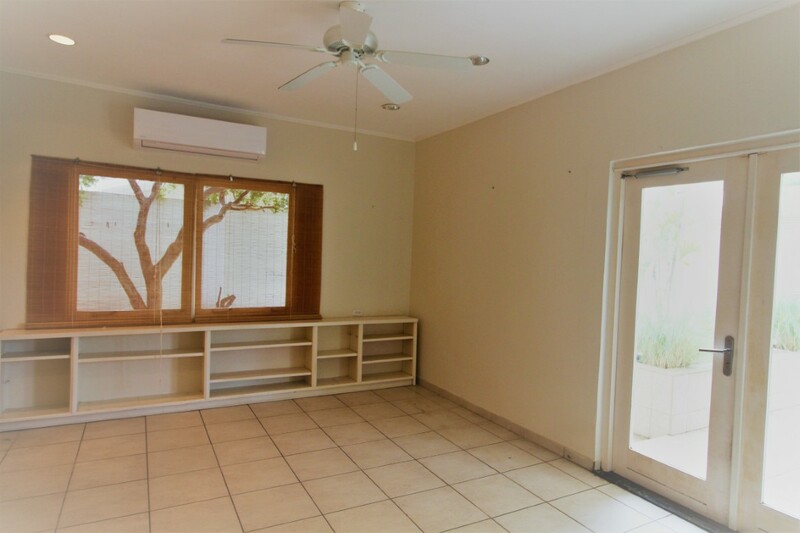 On the property you have space for 2 cars underneath an carport and a storage room for extra space. 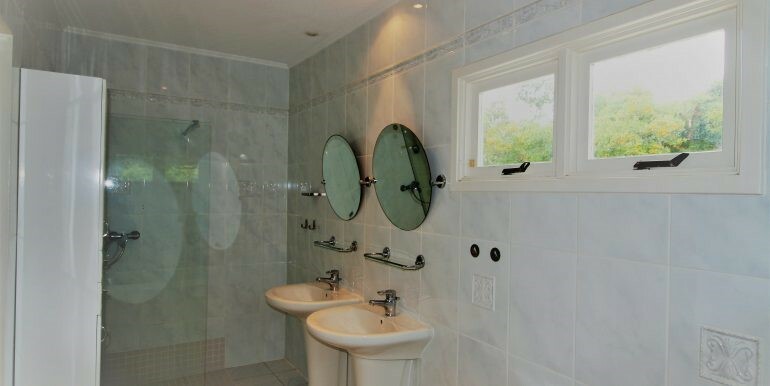 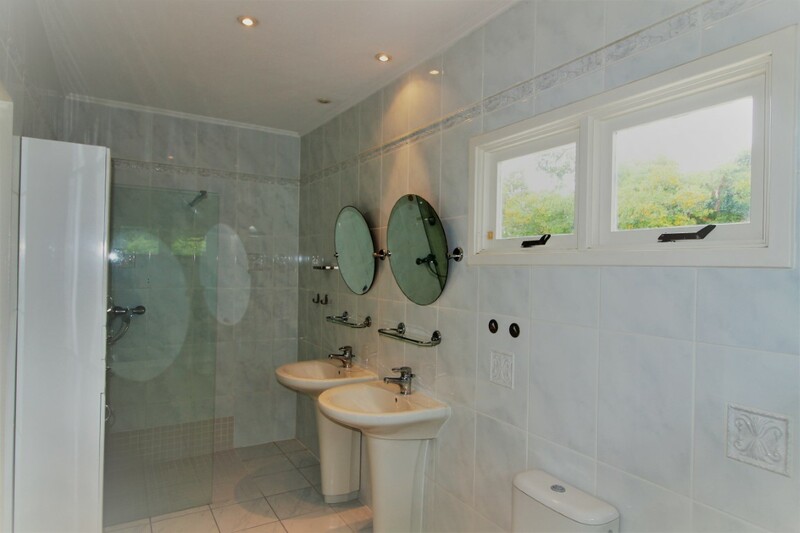 The property is secured with a monitor security with cameras which can be followed on you phone. 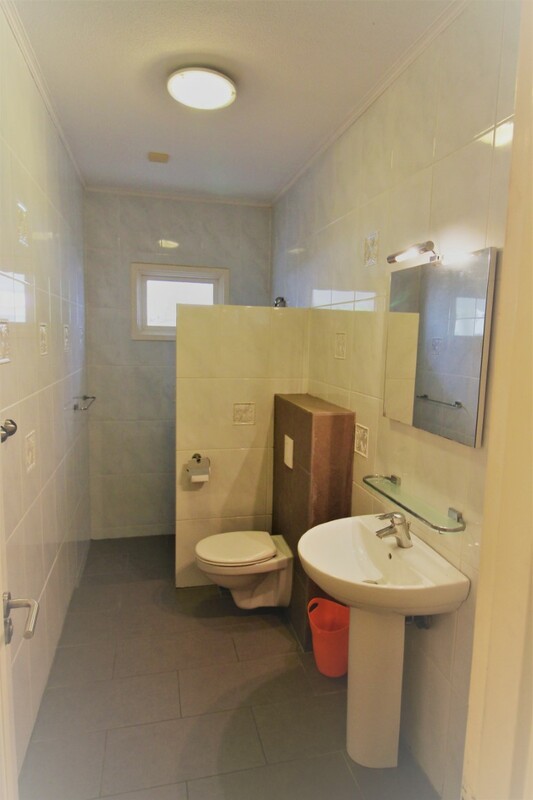 This service is included in the rental price. 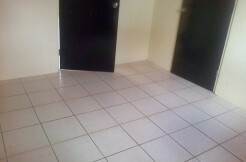 $3500.- p/m excl. 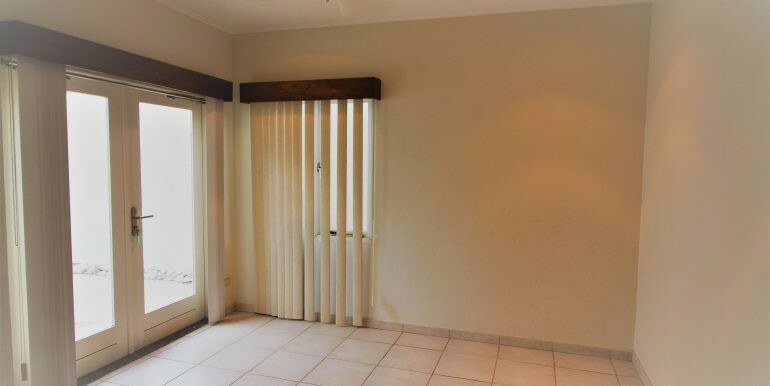 (Afl. 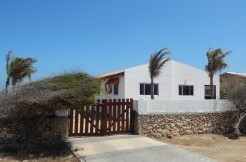 6195,-). 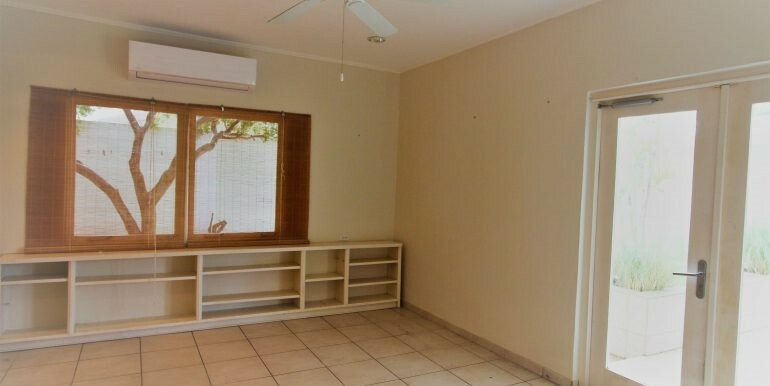 + 1 months deposit.